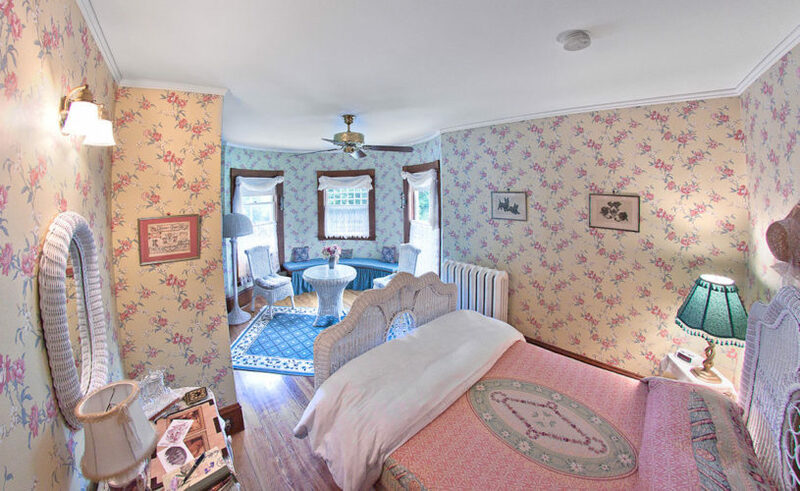 The “Topaz Turret” is a gorgeous guest room located on the second floor in one of the mansion’s turrets. 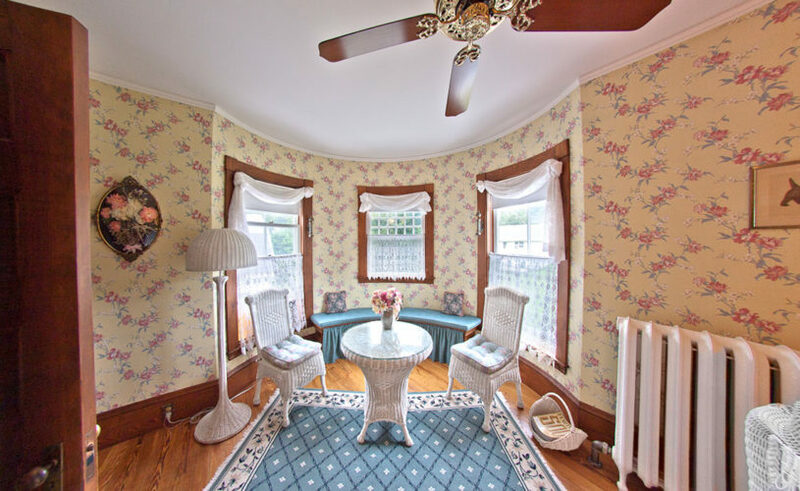 Furnished in Victorian white wicker, pale yellow flowered wallpaper, and lace window dressings, the Topaz Turret features an ornate wicker queen bed, natural woodwork throughout, and built-in window seating in the round turret area. 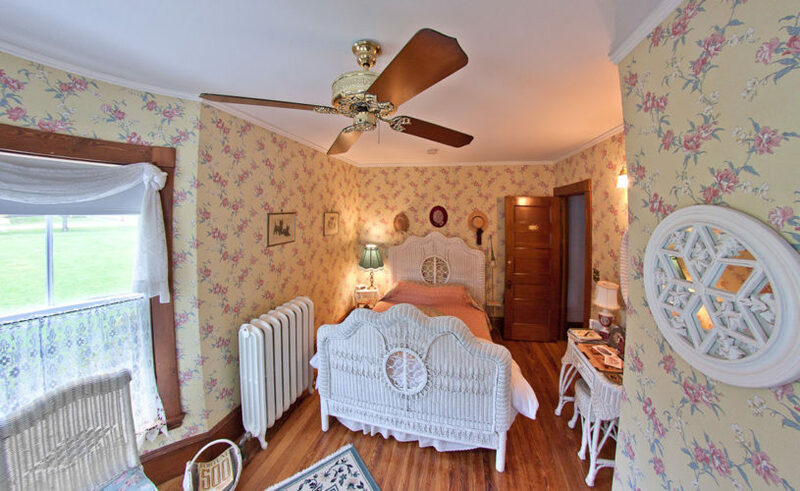 This is Maine Mid-Coast Lodging at its finest! The Topaz Turret also offers a large private bathroom with glass shower, dressing alcove, and vanity.